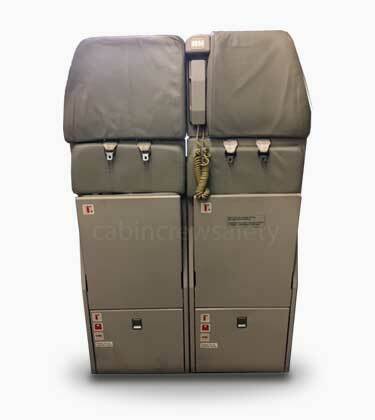 London, June 14th 2018, a further shipset of original Airbus attendant jump seats clears inspection and is added to the Airbus inventory for sale at Cabin Crew Safety. This now includes the crew jump seats from four Airbus aircraft and at the date of publication, means the following Airbus attendant jump seats are ready to ship worldwide. A full ship set of five attendant seats for the A319/A320/A321 platforms are now offered as a complete set or as three separate lots (forward, rear galley and aisle seats). Only the forward crew seats are now available from this A320 shipset. All attendant seats are offered initially for training end use and in AR (Aircraft Removed) condition as standard however for flight operations they may be able to be offered in SV (Serviceable) condition with fresh EASA Form 1 certification. About Cabin Crew Safety Ltd: Cabin Crew Safety are a global supplier to commercial aviation worldwide. Based in the United Kingdom and uniquely positioned in aviation safety; supplying both active safety equipment to aircraft operators but also training representations necessary in the initial and recurrent training of commercial air crew training. Keep me updated with email updates.